New to My Skincare Stash. | By Millie. Every few months or so I find myself running out of 70% of my skincare products...does any body else find this? My products just love to run out at the same time! As much as I'm a sucker for returning back to products I know and love, I also have a huge list of skincare items I want to try out, so I'm slowly making my way through that. Instead of waiting around a month to share my thoughts, I wanted to give you my first impressions on a few new skincare bits I'm trialling currently. 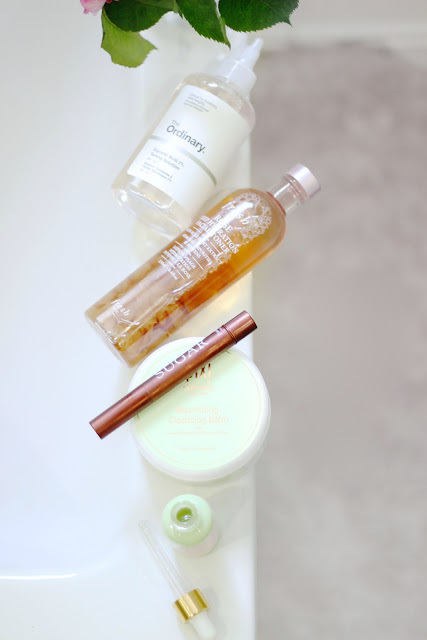 I am a huge lover of cleansing balms when it comes to makeup removal, I'm really not a micellar water kind of gal. 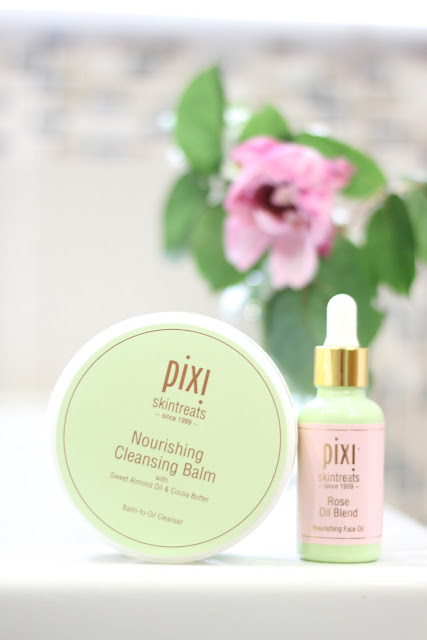 I picked up this Pixi Cleansing Balm to replaced my much loved Body Shop alternative, and I'm really impressed with it. The balm is so soothing on the skin and it removes makeup really well. I haven't been too heavy with the eye makeup as of late, so I have had no issues with this removing mascara etc. It feels super silky on the skin thanks to the Almond Oil and Cocoa Butter, and after I've removed it with a warm wash cloth my skin feels fab. I've been on a bit of a rose hype lately. It never used to be my jam, but I can't seem to stop buying anything with 'rose' as a main ingredient. This rose oil from Pixi is great if you suffer with dry skin. I pop it on under my moisturiser in the morning and my skin saps it up, it loves it! The handy pipet also keeps the ingredients fresh and it makes it easy to control the amount you wish to use. I notice my skin looks a lot more moisturised throughout the day too. So far so good with these Pixi goodies! 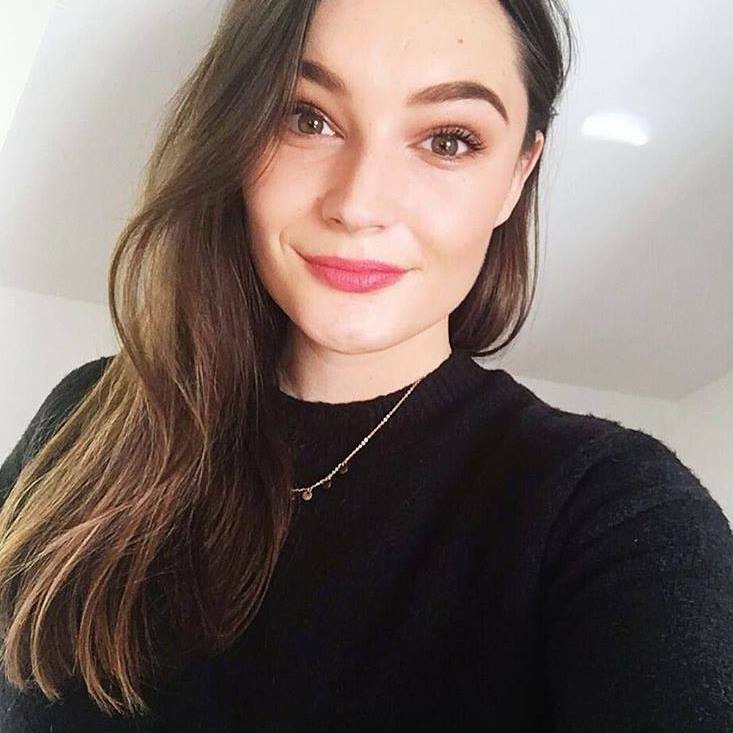 This is my first time delving into the Ordinary and I'm still wanting to pick up some more bits so please leave your recommendations below! This is also the first time in a long time I've incorporated an acid into my routine...look at me trying new things! Now, this is one of the products I will be reporting back on as I suspect the long-term results will be more detectable than the immediate. With that being said, I have noticed a slight change in the texture of my skin. Using an acid exfoliator, such as this glycolic acid solution, will remove dead skin cells without being too abrasive and replacing the need for those terrible micro beads which are destroying our oceans. I can definitely say that I'm liking the results so far, but it's too soon to give my full opinion. Keep your eyes peeled for a future update! I told you I'm loving anything rose at the moment...This toner though, can we just take a moment to appreciate the real rose petals which are inside this bottle of goodness!! I die! Yes, this definitely wins on aesthetics. Any who, back the serious stuff. Fresh is a brand I'm really loving at the moment, I can't believe it's taken me so long to take notice of their products. I needed a new toner, however I didn't want one which felt too stripping on the skin, so this deep hydration facial toner seemed to be a no brainer. I adore how soothing this is on the skin, the rose works wonders at creating a fresh, nourished canvas for anything I may apply on the top. I use this on a little cotton round, on cleansed skin, and it's become my favourite part of my routine. When I first picked this lip perfecting wand up, I definitely had it down as a lip exfoliator, which it kind of is, but not really. Let me explain. The wand tip has these little plastic bristles on the top which you massage across your lips to help smooth. I found these are fab for plumping the lips as it circulates the blood to the surface creating a fuller lip look. I do like this effect from time-to-time, however I can appreciate it might not be everyones cup of tea. The product inside has their classic brown sugar scent and is dispersed through the top by twisting the bottom of the wand to release the product. The balm itself is nothing exciting if I'm honest, it's a lot more gel-like than I first anticipated. Again, I was hoping it was a cream/oil, which alongside the "exfoliating wand tip" would nourish and soften my lips. It does this a little bit, but it's the plumping effect which overrides any other benefits for me. Not entirely what I had hoped for, I'll definitely be reaching for my classic brown sugar and oil combo if I do want a good exfoliation, but it's a good thing to have around.